Many New Yorkers likely wonder why Mayor de Blasio wants to spend $24 billion on saving the aging towers of the New York City Housing Authority (NYCHA). Much of this public housing consists of plain brick towers, which the city built rapidly from the 1930s to the 1960s, in a dated “towers in the park” design, now worn down from decades of hard use. In Singapore and much of Europe, government policy has targeted public housing of this age and type for billions in spending to remake projects to match changing urban tastes, family size, and rising densities. But in the United States and New York there is no equivalent housing program with the funds to replace NYCHA’s 175,000 apartments (400,000 registered tenants), which rent on average at just $550 per month. 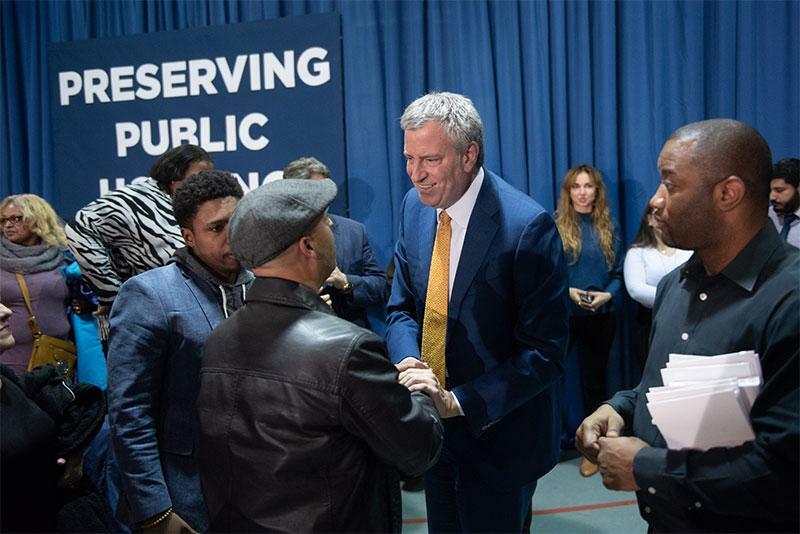 The mayor, in the unprecedented $24 billion NYCHA 2.0 plan he released in December, is forced to rely on a complicated and potentially uncertain financing plan integrating city, state, federal, and private funds; private sector management of fully one-third of NYCHA’s portfolio; and hoped for revenues from “infill” ground leases and sales of air rights. Added together the plan’s various elements will still barely provide for basic renovation when spread across a massive system that has a minimum of $31 billion in capital needs; NYCHA 2.0 certainly won’t cover redevelopment to a twenty-first century standard. Even if New York had the funds for massive redevelopment, it would still be a risky proposition to take NYCHA projects offline (many of which have 1,000 units or more each). NYCHA is already full to overflowing and the private market lacks sufficient low-cost units to accommodate relocation needs. The risk is high in losing any of NYCHA’s units because the most endangered commodity in New York City is the privately-operated apartment that rents for less than $1,000 -- with rent-regulated units in particularly perilous straits. Public housing is now such a crucial part of that low-cost market that to lose the system, or even part of it, would, according to the respected Regional Plan Association, drive up homelessness, take housing from working-class people, and worsen conditions citywide because the market cannot replace the units. Today’s private sector housing failure is nothing new; instead, lousy and expensive housing has been a persistent dimension of New York City life for over a century. 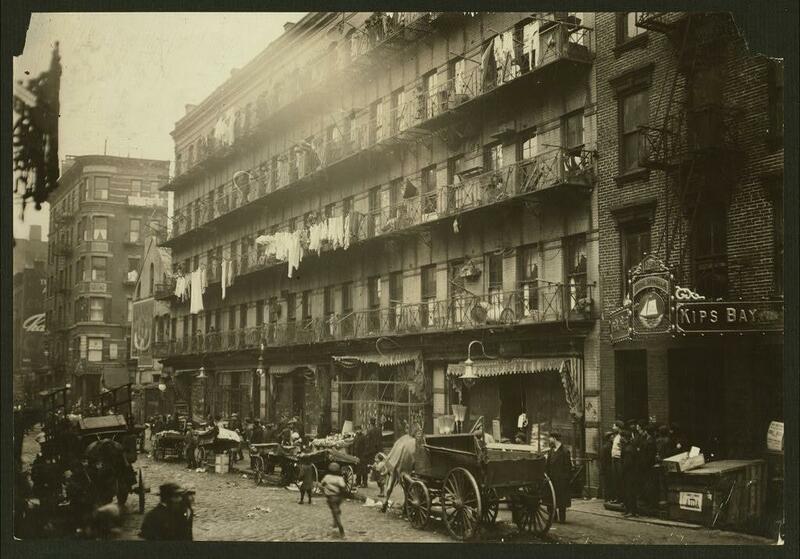 The city was once dominated by thousands of privately owned tenement buildings that crowded land and people together at density levels the world had never seen before. The creation of the subway in 1904 relieved that pressure for a time, allowing for a mass exodus to newer tenements, apartment buildings, or small homes in the outer boroughs. NYCHA also launched in the 1930s as an all-out attack on these tenements. Tougher housing regulations and the suburban boom accelerated the tenement exodus from the 1930s onward, but many tenements in areas such as East Harlem and the Lower East Side backfilled with migrants from the south and Puerto Rico in the mid-twentieth century. Owners of many vestigial tenements abandoned or burned many of them from the ‘60s to the ‘80s. Gentrification since the 1970s in New York City generated a new twist on private sector failure. Landlords of surviving apartment buildings good and bad won revisions in rent control and stabilization since the 1970s. They have used these lenient rules ever since to raise rents or drive out long-time tenants. Many private landlords haven’t cared if a tenant family must pay 50 percent or more of their income on rent. Dangerous conditions in many of these lower-rent buildings, which are not as widely publicized as those at NYCHA, are a mixed bag with irregular heat, lead exposure, and mold common. Many private real estate companies have, in fairness, played a crucial role in affordable housing management and development since the 1960s. Indeed, the various tax credits and breaks, and zoning bonuses, have created new “affordable” units that are modern and comfortable. Yet the supply of these units is relatively small (as they are often a minority percentage of a building); apartments time out of affordability after a specified period (requiring new public financing); and most apartments are targeted for income levels higher than public housing. The result is scarcity and insufficient affordable housing production: the odds of landing one of the new privately developed and managed affordable units produced in 2018 was just 1 in 592. At the current rate of new private construction in Mayor de Blasio’s broader housing plan, which produced a record 7,857 affordable units in 2018, it would still take two decades or more just to replace NYCHA’s 175,000 units. The real estate industry has also stepped up to play a central role in the conversion of public housing to private sector management and may end up running about 66,000 units of NYCHA housing under what NYCHA calls PACT (nationally it is RAD). Builders also hope to ground-lease NYCHA sites that could provide funding for renovation of surrounding buildings and additional affordable and market-rate units. Private companies aren’t taking on these NYCHA projects or infill projects for entirely altruistic reasons, of course. Infill projects, even with affordable components, can be profitable. Private managers who take over existing NYCHA projects are being handed thousands of well-located, structurally-sound, mostly debt-free, fully-tenanted, property tax-free, federally-subsidized (Section 8) apartments they can borrow money from banks to renovate. Managing and renovating these buildings is a heavy lift, but there is a significant upside if done right. The private sector, even given these good steps, is still not doing enough for either NYCHA or the average low-income renter. Without a large-scale program of new production, the region will continue to be uncompetitive as business shifts to places where lower and even middle-income people can afford to live decently. The city’s private sector is booming today, for sure, but so is the national economy. When times get tight, New York City may seem much less attractive. A desperate population is also likely to be drawn to draconian rent regulations, higher taxes, and more “socialistic” policies to try and level the playing field. It isn’t pretty when recessions hit New York. Both real estate interests and large employers should be putting more of their energy and funds into expanding affordable housing programs at the state and federal levels. Only when the real estate industry starts producing tens of thousands of affordable units per year do they earn a right to speak about NYCHA’s future and/or redevelopment. It also wouldn’t hurt if a business titan or two stood up for public housing funding and improvements. Instead of putting so much of its energy into fighting rent stabilization or marketing overpriced apartments to foreign investors, business leaders could take a cue from their wealthy predecessors. Governors Roosevelt, Lehman, and Rockefeller developed and fought hard for creative programs to boost low-cost housing production. Or they can look west. Microsoft’s new commitment of $500 million to affordable housing in Seattle reflects, hopefully, a new era of commitment from employers to making more equitable housing market. Where is New York City’s Microsoft of affordable housing? 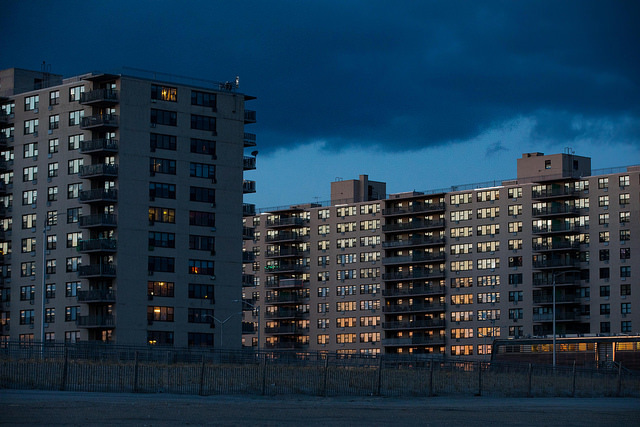 Nicholas Dagen Bloom is a professor at New York Institute of Technology (NYIT) and a NYCHA scholar, and has a new book on state/urban policies: How States Shaped Postwar America. Queens City Council Member Jimmy Van Bramer has said he will refuse donations from wealthy landlords and the real estate industry as he runs for borough president. Julia Salazar, a democratic socialist in Brooklyn, defeated an eight-term incumbent state senator using her rejection of real estate donors as a rallying cry. Alexandria Ocasio-Cortez did the same when she toppled Democratic Rep. Joe Crowley and became the youngest woman elected to the United States House of Representatives. 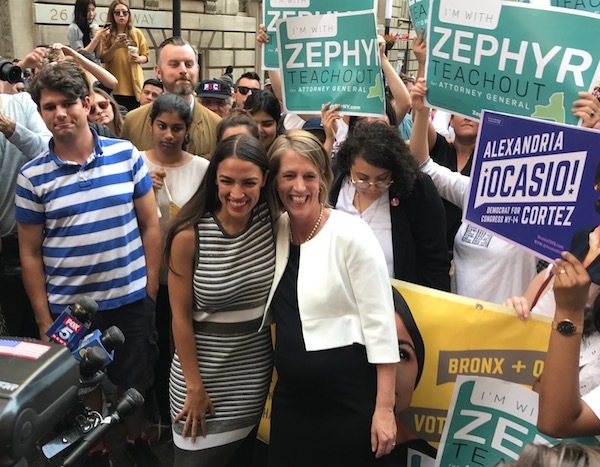 Zephyr Teachout sought the Democratic nomination for attorney general while eschewing real estate contributions and making it a core plank of her campaign. Nomiki Konst, an investigative reporter, recently launched her campaign for New York City public advocate with the same promise. New York’s real estate industry, most of it concentrated in the dense confines of New York City, has long played a significant role in funding candidates for elected office up and down the ballot across the state and beyond, a role that candidates of both major parties and political insiders have always recognized. But as voters, particularly energized, activist Democrats, focus on the affordable housing crisis and take heed of the state’s broken campaign finance laws, including loopholes that donors, especially those in real estate, have exploited to pad the coffers of legislators and executives, some progressive Democrats have begun to reject campaign contributions from the real estate industry. Affordable housing policy, including the already-begun debate over rent regulations decided in Albany that will be a significant issue in 2019, is at or toward the top of many activists’ lists, and housing justice advocates increasingly see campaign finance pledges as a litmus test for candidates. Increasing numbers of Democrats eschewing real estate money, or at least any given through the so-called LLC loophole, has given those activists and advocates cause for optimism that real estate’s role in state elections may be on the decline and that their elected representatives will heed the clarion call to protect tenants and listen to small donors over wealthy special interests. It’s common knowledge that the real estate industry has been a staple in electoral politics for decades and its members’ donations have been part of the picture across the political spectrum. Democrats and Republicans have benefited from them, none more so than Governor Andrew Cuomo, a Democrat recently re-elected to a third term. But the recent election cycle, the first since Donald Trump was elected president, saw greater awareness among voters about the power of state government and the special interests that fund campaigns. Actor and education activist Cynthia Nixon also used that backdrop to run a competitive primary challenge against Cuomo. She refused donations from real estate and issued a scathing indictment of the governor’s reliance on big donors in the industry, while calling for sweeping housing justice reforms. Weaver also pointed to the high-profile corruption convictions of former State Assembly Speaker Sheldon Silver, a Democrat, and former Senate Majority Leader Dean Skelos, a Republican, in trials that exposed how a real estate firm, Glenwood Management, attempted to wield influence over legislation. Glenwood, an enormous donor to Cuomo and many legislators, recently made massive contributions to Senate Democratic candidates ahead of the November election where it appeared likely they would become part of a new majority in the chamber. 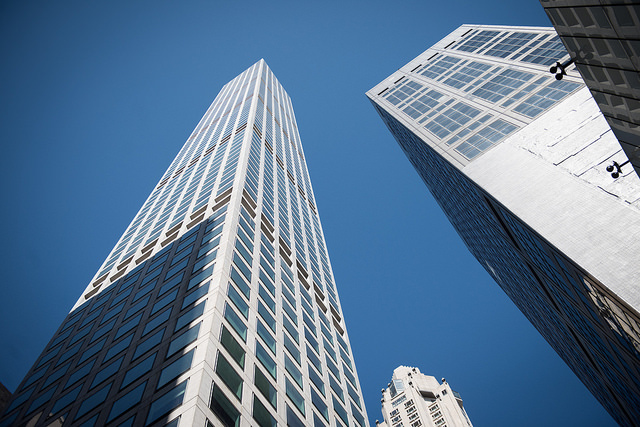 The primary mechanism for real estate donations has been the gaping loophole in state campaign finance law that allows limited liability companies with opaque ownership -- a common instrument in the real estate business -- to circumvent contribution limits. City Limits reported in September that LLCs had been used to donate more than $188 million to political campaigns since the late 1990s, with about $31 million given to gubernatorial candidates alone, including Cuomo. “Combining his campaign for attorney general in 2006 and his three runs for governor, Cuomo has received roughly one of every eight dollars donated by LLCs,” City Limits found. Those donations are largely dominated by the real estate industry. 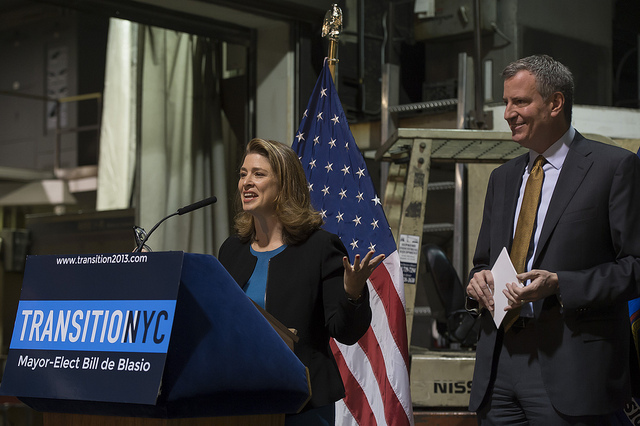 Mayor Bill de Blasio has also come under scrutiny for accepting significant real estate donations, especially to a political nonprofit he established to push his agenda that became the subject of law enforcement investigations related to whether City Hall did favors for its donors. A collaborative report in 2016 by ProPublica, The Real Deal and the National Institute on Money in State Politics tracked how real estate developers who benefitted from a prominent tax incentive called the 421-a program gave about $21 million to party committees and candidates since 2000, out of $83 million that the real estate industry donated in the same time. It was in that context that a slew of progressive Democrats ousted their more moderate and real estate-tied partymates from office with the support of smaller donors and by rejecting corporate backers. “The housing crisis in this city is out of control and going into a year when candidates are going to be debating rent regulations in Albany, voters wanted candidates that are gonna act with integrity and widely believed that candidates who work for the real estate industry won’t,” said Weaver. Besides Salazar, Zellnor Myrie and Alessandra Biaggi similarly ran for and won Democratic primaries in the state Senate in opposition to wealthy real estate interests. Each of the three represents a district, much like a lot of the city, grappling with a deep affordability crisis and pockets of gentrification displacing low-income residents of color. Their opponents all received significant contributions from real estate. The decision to reject real estate seems based in both principle and pragmatism. Biaggi made housing justice a prominent campaign issue as she successfully dethroned Senator Jeff Klein, once the powerful leader of the Independent Democratic Conference, a breakaway faction of eight senators that propped up Republican control of the Senate. Democratic voters rejected six of the IDC members, blaming them for preventing the passage of many bills, including stronger rent regulations, and replaced them with progressive Democrats, including Biaggi and Myrie. “It’s not necessarily that taking real estate money makes you a bad legislator or a bad person...but for me, it’s very clear that it’s a slippery slope,” Biaggi said in a phone interview. Even as she acknowledged how difficult it can be to run for office without wealthy donors, Biaggi said it was important to her to retain her independence and answer to everyday constituents, not just those who can write big checks. “The winning can’t take precedence over the fact that, once you’ve won, the people who have helped get you there are the people who are going to come knocking on the door and that’s really a very challenging thing to come to terms with,” she said. Biaggi spent about $330,000 on her campaign and won with 53.1 percent of the vote, while Klein disbursed more than $3 million to try to keep his seat and got 44.5 percent. Salazar said her commitment, and Myrie’s and Biaggi’s, to refuse real estate donations proved that it’s possible to run a viable campaign with small donors, and build grassroots support and trust in communities by doing so. Those in the real estate industry push back against being made the boogeymen of state politics. Real estate is, without a doubt, central to New York City’s fortunes and the industry comprises a large part of the city’s tax base. The sector is scapegoated more so than other industries and groups, like those in health care, finance, or education, that also employ somewhat similar tactics in state elections. And of course, many candidates regularly pursue real estate donors when running for office. Banks pushed back against any notion that his industry has used the LLC loophole to improperly sway the political landscape to its benefit. “The real estate industry respects and follows both the letter and the intent of the law and to say that someone who follows the letter of the law is in someway undermining the legitimacy of the political process is a naive statement,” he said. And, he noted, the real estate industry is intrinsically a part of New York’s landscape, more than any other, even finance, or technology. “Unlike some of the other industries, mobility is not something that is an option for us,” he said. There are also Democrats, even those who call themselves progressives, for whom real estate donations are far from an insurmountable liability, even if they are unpopular with the party’s left wing. Cuomo sailed to reelection, in part by taking millions combined from LLCs and the real estate industry that he then used to overwhelm his less-funded primary and general election opponents over the airwaves. New York City Public Advocate Letitia James, not a close friend to real estate, accepted similar donations and was resoundingly elected the next attorney general of New York State. In the attorney general primary, for instance, James ran on a platform that included criticism of bad landlords and yet received $10,000 from an LLC linked to the Durst Organization, one of the largest real estate developers in the city. That LLC and seven others under the Durst umbrella also gave a combined $150,000 to one of James’ opponents, Rep. Sean Patrick Maloney, which became a line of attack from Teachout. “Honest politicians don’t take bribes and reputable donors don’t request quid pro quos,” he added. There is a distance between bribes and quid pro quos on one hand, of course, and donations having some influence on policy-making, even if simply by virtue of how donations help candidates get elected. McKee of Tenants PAC noted, for instance, that REBNY had begun donating larger sums in this election cycle to Democratic candidates once it seemed apparent that the party was going to regain control of the state Senate and, by result, the entire Legislature. The influence of such donations can come down to seemingly small changes in policy, like the exact threshold at which an apartment leaves rent regulation, not necessarily major new legislation that would raise flags as donor-favors. Myrie wanted to avoid even the perception of corruption when he took his pledge, he said. “The number one reason that I did it was because...when we were gonna be facing the fight in Albany on whether or not we’re gonna protect tenants, I wanted there to be no confusion about which side I was on,” he said. Biaggi asserted that the path to stronger rent regulations runs directly through reforming the state’s campaign finance system, primarily through closing the LLC loophole, but also through lowering individual donation limits, where New York has some of the highest in the country. Closing the LLC loophole alone, advocates say, would take away real estate’s biggest weapon of political influence, and they insist it should be accompanied by a public campaign financing program, like the one currently used in New York City, to boost the voices of ordinary New Yorkers who only give $25 or $100 to a candidate. Democrats in the Assembly have repeatedly attempted to reform campaign finance law but have been roadblocked for years by Republicans in the Senate, who have been major beneficiaries of real estate donations. Many, Cuomo included, have emphasized that ending the LLC loophole is among their priorities in the upcoming legislative session in January. “If you had these kinds of reforms, candidates wouldn’t have to spend so much time cultivating rich people to make big donations,” McKee said. On the other hand, Republicans have long-argued that labor unions often use campaign contributions to support and influence Democrats, and that any LLC reform should also institute limits on how local chapters of unions are classified in campaign finance law. 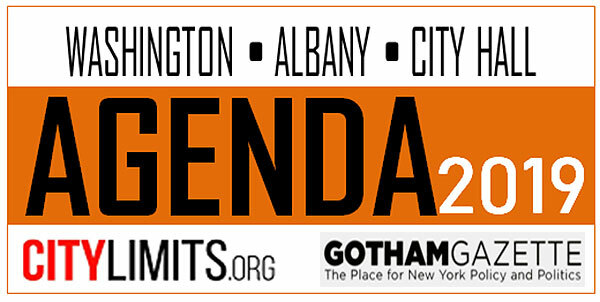 This week's Max & Murphy is part of housing week for the Agenda 2019 project, which is setting the stage for next year in New York City and State government and politics. Giselle Routhier, Policy Director at Coalition for the Homeless, joined the show to discuss homelessness in New York City, evaluating Mayor de Blasio's approach and what the State should do to address the issue. Then, Molly Park, Deputy Commissioner for Development at the city’s Department of Housing Preservation and Development (HPD), joined the show to discuss the city's affordable housing plan, HPD's approach to development, changes to the plan that have occurred over time, and more. The red carpet has been rolled out and Mayor de Blasio and Governor Cuomo are giddily holding open the doors: Jeff Bezos and Amazon are coming to town, for the low price of $3 billion, a helipad, and prime real estate in Queens. For years, homeless activists have pressed the mayor and governor to invest resources and political will to tackle the historic crisis of homelessness plaguing both our city and state. Instead, they partnered in selling out taxpayers and sidelining politicians to make the Amazon deal a reality. But not everyone will accept this reality without a fight. In fact, the Amazon giveaway has been criticized by everyone from newly-elected democratic socialist Alexandria Ocasio-Cortez to the corporation-friendly editorial board of the Wall Street Journal. They join homeless activists like me, city and state elected officials, and thousands of others who are concerned about responsible government and the rights of immigrants, workers, tenants, students, and many more. “Every kind of New Yorker,” including the ones who haven’t arrived yet and the ones Amazon claims would earn an average salary of $150,000 per year. Meanwhile, Governor Cuomo has done no better. He refuses to follow through on his own housing commitments for the homeless. In 2016, he committed $20 billion in the state budget to tackle affordable housing and homelessness -- including 20,000 units of supportive housing -- but only a tiny sliver of those resources were made available after a year of campaigning and protests. The governor pledged to create 6,000 units of supportive housing over five years, yet two years later, 559 units were reportedly open as of August of this year. He's reduced funding for rental assistance, forced cities to shoulder the cost of shelters, and blocked legislation attempting to solve the problem with new housing assistance, like Assembly Member Andrew Hevesi’s Homes Stability Support plan. The mayor and governor have refused to adequately help the homeless, but they’ve been quick to negotiate a deal with the richest man in the world. Take a look across the country to predict what happens next. A Seattle county official said the city was “asleep at the switch” when Amazon arrived. By the time the giant settled in, rents had skyrocketed and homelessness soared from 8,522 people in 2017 to 12,000 during a one-night count in January 2018. In 2017, 169 people experiencing homelessness reportedly died in Seattle, and today record-numbers of people are living in cars and in tent cities. In an attempt to reverse the damage, the Seattle City Council introduced a bill to tax companies like Amazon in order to fund homelessness initiatives. The bill passed, only to then be crushed by Amazon, which refused to be taxed and threatened to stop construction in the city. This it the kind of power we are up against in New York. Our homes, neighborhoods, and our lives are on the line. 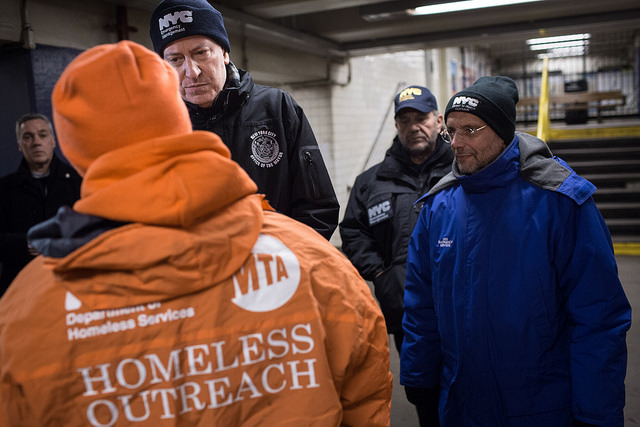 Mayor de Blasio and Governor Cuomo have long-ignored the true needs of the homeless across New York. But by bypassing democracy and giving Amazon billions in incentives and grants to move here, they are trying to erase us -- and many others -- from the map. We won’t have it. We must remember, this is not the mayor’s city nor the governor’s city, and it’s certainly not Amazon’s city -- it is ours. Now it is critical that we fight back against this plan and demand the future we all deserve: safe and affordable housing for all New Yorkers, quality education for our kids, a transportation system that works, strong small businesses that remain the lifeblood and culture of our city, a powerful unionized workforce that bolsters fair wages, families that are never divided, and companies that don’t profit off the imprisonment and deportation of our loved ones. Nathylin Flowers Adesegun is a community leader at VOCAL-NY. On Twitter @VOCALNewYork. New York’s severe housing crisis can be traced to a simple fact—our city doesn’t have enough homes for the people who want to live here. The shortage has led to ever-increasing rents, the steady displacement of long-standing communities, and levels of homelessness not seen since the Great Depression. To put it bluntly, we need to build more homes. Lots of them. Affordable and market rate. Yesterday. One senseless obstacle to new housing is a statewide cap on the density of new residential construction. Since 1961, New York has prohibited the construction of any residential building that has floor space greater than 12 times the size of its lot. This limit is ill-suited for New York City, which needs to allow larger residential buildings to house its growing population in neighborhoods with good transit and good schools. The Regional Plan Association, a respected and nonpartisan think tank, has called for the repeal of this cap, arguing that without more dense construction, displacement in gentrifying neighborhoods will accelerate and the City will choke on worsened congestion. It is encouraging that Mayor de Blasio and the state Senate have signaled support for ending these restrictions. Unfortunately, Andrew Berman, Executive Director of The Greenwich Village Society for Historic Preservation (GVSHP), recently published an op-ed with Gotham Gazette that includes several misleading arguments in favor of the density cap. Berman argues that fighting against new housing will somehow result in a more affordable city. He is mistaken; while new highrises will not single-handedly fix New York’s affordability problem, they deserve to be recognized as a serious tool for addressing the housing crisis. In a shortage, the rich, whether they be landlords, wealthy tenants, or homeowners, always win. In a housing glut, tenants win. Denser buildings would produce more housing units, a substantial portion of which would be permanently affordable through the Mandatory Inclusionary Housing law. Before leaving office in 2016, the Obama Administration published an analysis of the barriers to new construction of affordable housing, and the most destructive factor they identified were burdensome restrictions on the size and shape of new buildings, like those Mr. Berman endorses. Many readers may be skeptical of the idea that new market-rate homes help keep rents low, but studies have shown that denser, market-rate apartments in in-demand neighborhoods relieve pressure on existing homes citywide. Recent construction has lowered median rents across Brooklyn, Manhattan, and Queens, not just the top of the market. And south of 96 Street, the most affordable neighborhoods also happen to be the densest—the Upper East Side and the Lower East Side—and not, tellingly, neighborhoods hemmed in by ‘historic’ zoning, like Mr. Berman’s Greenwich Village. If we don't produce enough new market-rate units, the people who might move into a new condo building in Downtown Brooklyn might instead buy a converted brownstone In Crown Heights, displacing existing Crown Heights residents in the process. People who might want to live on the Upper West Side are priced out and move into West Harlem instead. Forbidding dense development in one neighborhood is a recipe for gentrification in the next one over. Members of my organization, Open New York, have experienced this first-hand. Some of us, priced out of neighborhoods like Kips Bay, have become reluctant gentrifiers of Bushwick or Bed-Stuy. Others, like myself in the East Village, worry about our rents rising and facing the same fate. Although unscrupulous landlords or rapacious speculators hardly help matters, the unfortunate truth is that the city’s housing crisis and the displacement it has wrought are primarily caused by these kinds of restrictions. Wealthy and politically-connected residents in desirable neighborhoods consistently use these laws to thwart the construction of new housing under the guise of ‘preserving neighborhood character,’ keeping their communities exclusive and pushing both new residents and their communities’ most vulnerable residents into less well-off areas. The result is gentrification and skyrocketing rents. New York needs to consider another way. Lifting the state density cap would not affect residents’ right to have a say in new development. Any changes to a neighborhood’s zoning would still have to go through the regular land-use process and be approved by the City Council, and the city’s Mandatory Inclusionary Housing law would still apply, ensuring any changes include a mix of affordable and market rate units. But eliminating the ban would give residents more flexibility to decide how to grow, whereas keeping it forces us to double down on the same failed policies of exclusion. Rather than looking to Greenwich Village—one of the most expensive neighborhoods in the city—as a model to emulate, we should be working to eliminate the barriers to affordable growth. Removing this counterproductive restriction on density is a good first step. William Thomas is an East Village resident and a member of Open New York, an independent pro-housing advocacy group. On Twitter, @OpenNYForAll. Nearly every day it seems, a new record is broken for a tallest new residential structure in our city. Whether it is Downtown Brooklyn’s first 1,000+ foot tall tower, Queens’ tallest tower in Long Island City, or the 1,550 foot tall West 57 Street residential tower that will soon rise higher than the top floor of One World Trade Center, residential building in New York City is reaching new heights. But for Mayor de Blasio and the real estate industry, even these record-breaking heights are not enough. They are advocating for repealing a 60-year-old state law, which, while capping the size of residential developments in New York City, is still so generous as to allow the unprecedented giants going up now. If the mayor and the real estate industry have their way, the sky could literally be the limit for residential high-rises in New York City. And not just in Midtown or the Financial District, but residential neighborhoods like the Upper East Side and Upper West Side, Greenwich Village, and various parts of Brooklyn and Queens, where current rules limit new residential development to at or near the cap imposed by state law. The possibility is more than theoretical. Two years ago proponents of lifting the cap came close to getting the State Legislature to do so. This year the State Senate pushed for the measure to be included in the state budget, but the Assembly ultimately did not go along with it (though the cap removal definitely has its proponents in the Assembly majority). Most observers expect the supporters of lifting the cap to push the measure again before the state legislative session ends in June, possibly as part of the “big ugly” – the annual package of often unrelated and controversial measures passed in the final hours of legislative session, with little public notice or input. With all the problems facing New York City right now, from dysfunctional subways to crumbling public housing to crippling congestion, why is this an issue the mayor has chosen to take on? Mayor de Blasio and some of the proponents of lifting the cap claim it’s necessary to build affordable housing. But not because they want affordable housing developments that exceed the current record-breaking heights. Because they want to allow real estate developers to build vastly larger for-profit, luxury housing developments. In return, they will require them to attach a comparatively small amount of affordable housing to the development. This is a false dichotomy that the real estate industry has promulgated and the mayor has endorsed – that the best and, in many cases, only way to get new affordable housing out of for-profit developers across the city is by supersizing the amount of luxury, market-rate housing they can build, and then attaching these smaller amounts of affordable housing to it. It’s due to this approach that communities throughout New York City have opposed the mayor’s rezoning plans – both because they would destroy the scale and character of their neighborhoods, and because under the guise of introducing “affordable housing” (which in many cases is unaffordable to the residents of the neighborhood), vastly increased quantities of very expensive housing is built, which more than counteracts any good done by the relatively small amount of affordable housing created. Take Greenwich Village and the East Village. These increasingly wealthy neighborhoods with decreasing affordable housing have been begging the mayor to support a zoning plan we have proposed that would allow modest increases in the allowable size of developments as a condition for creating or preserving affordable housing. The mayor has adamantly opposed the plan, saying he would only be willing to consider the kind of massive increases in the allowable size of residential development that would bump up against the current state cap, to say nothing of destroying the character of these human-scaled neighborhoods. Don’t let the mayor or Big Real Estate fool you. The state cap on the size of New York City residential buildings is not limiting anything New Yorkers should be worried about. The only thing it’s limiting is the already astronomical profits of developers, and the ambitions of some politicians to increase them even further. Andrew Berman is Executive Director of Greenwich Village Society for Historic Preservation. On Twitter @GVSHP. NYCHA Chair and CEO Shola Olatoye has been at the center of a firestorm lately related to the public housing authority's lapses in lead paint inspections, violating federal and city laws, filing faulty documentation, and not telling NYCHA residents and the public about the years-long gaps as soon as leadership discovered them. Olatoye faced hours of questioning at a City Council oversight hearing on Tuesday, then joined the podcast on Thursday for some follow-up and other questions about the lead paint situation and more. Olatoye discusses whether she and NYCHA need to regain residents' trust, whether she offered Mayor Bill de Blasio her resignation, and where the conversation around NYCHA -- home to more than 400,000 New Yorkers -- needs to go next. Listen to the full conversation and let us know what you think -- we're on Twitter @TweetBenMax and @jarrettmurphy and guest @SholaOlatoye of @NYCHA. You can listen to the episode through the embedded audio below or download the episode wherever you get your podcasts. For this episode of the podcast, we bring you excerpts of a speech the city's housing commissioner, Maria Torres-Springer, gave at a Citizens Budget Commission event on Wednesday, September 20, followed by 15 minutes of Q-and-A with the commissioner. 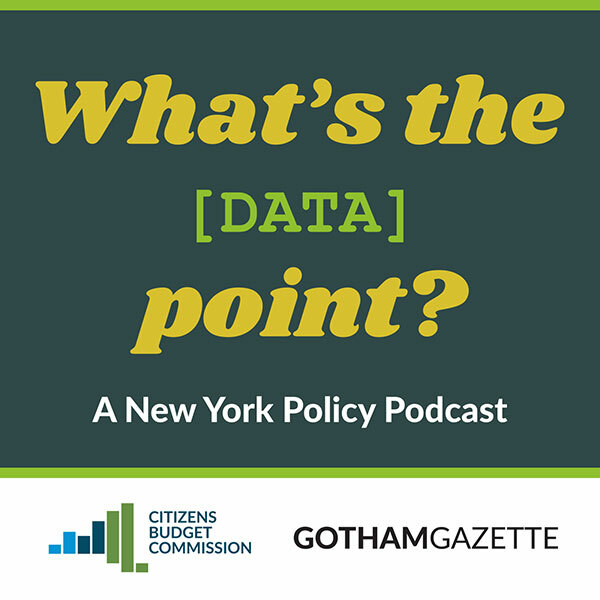 You'll hear a brief introduction of the episode's data point, followed by portions of Torres-Springer's speech, which was focused on the de Blasio administration's affordable housing program, and then Torres-Springer answering questions from Gotham Gazette and CBC. Make sure to stay tuned for the Q-and-A, which includes several interesting exchanges. Throughout both parts, Torres-Springer explains progress being made on one of the administration's most ambitious goals, building or preserving 200,000 units of affordable housing over 10 years, discusses challenges the city is facing, including potential federal funding cuts, and much more. She discusses the administration's plans to rezone neighborhoods in order to add more housing, what the city needs from the state, and much more. Listen to the conversation and let us know what you think: Ben Max of GG (@TweetBenMax) & CBC (@cbcny) & guest Maria Torres-Springer (@MTorresSpringer of @NYCHousing). Listen below or download wherever you get your podcasts!